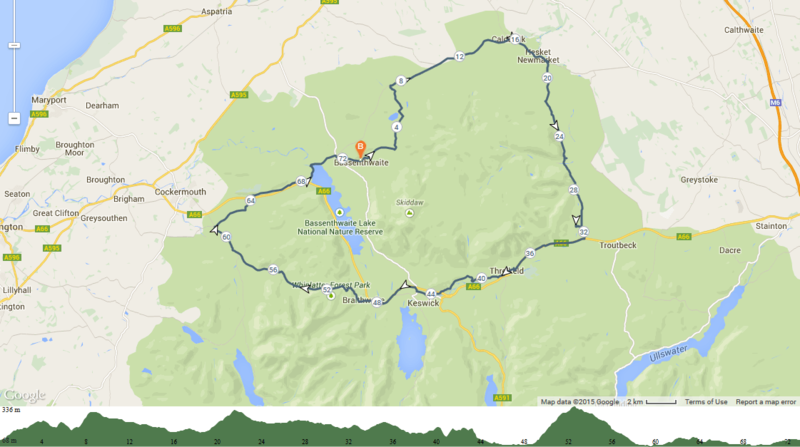 These three routes all pass through Keswick but take in a very varied selection roads, which I feel show what this area is all about. 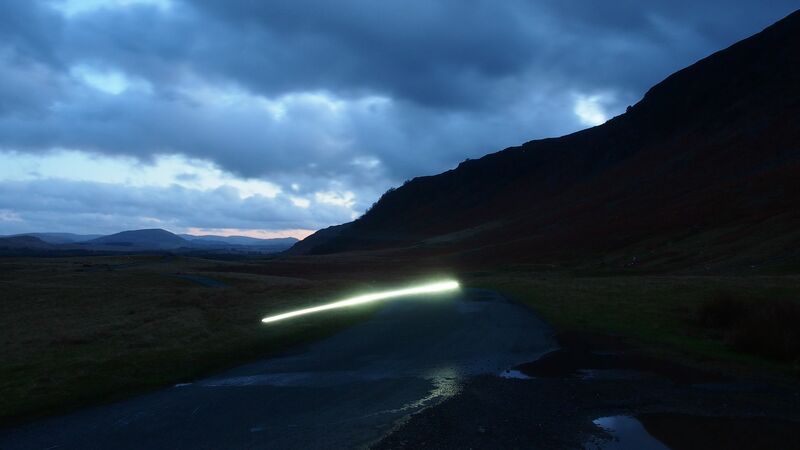 They also pose a challenge containing all of the hardest road passes in the Lake District. This route packs in about 1500m of climbing in and it’s about 80km long, it’s steep climbing in places too. 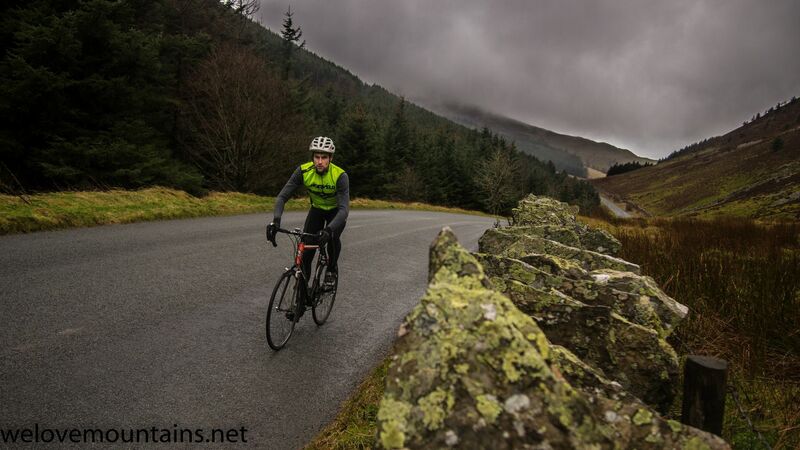 It starts in Keswick before heading north towards Bassenthwaite on the A591, not a pleasant road to ride with the fast traffic but some great views across Lake Bassenthwaite. The route then turns off across the head of the Lake towards Embleton on backroads which mean you can totally avoid the A66. Here the first climb is up Whinlatter from the west which is a gntle climb and not too tough a start. THe descent takes you past the forst park and down some steep sections into Braithwaite. Here the Newlands valley road is a stunnning ride on narrow quiet lanes until the steep push to the pass starts. THe descent is again down the steeper side west towards Buttermere. Here the road cariies on towards the final brutally steep slopes up Honister Pass, this is the toughest climb of the route. The road back to Keswick is along Derwent water and is great fun to ride. 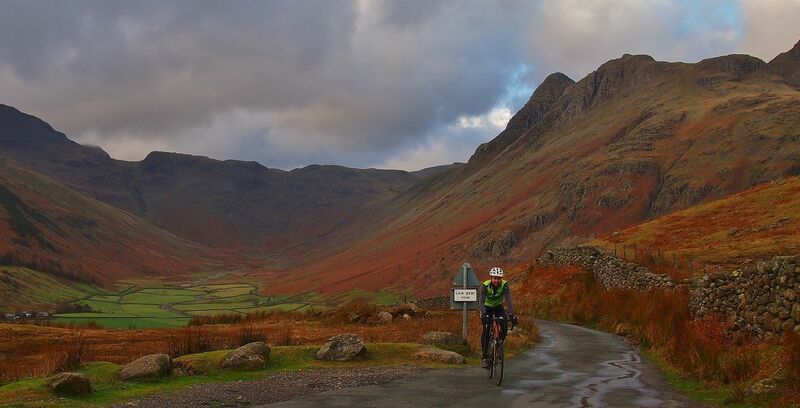 This route uses some little known quiet and surprisingly scenic roads to ensure you miss all the busy main roads in the Lake district. It also packs in a lot mote climbing than the map suggests. Starting from Keswick head up to Braithwaite and up Whinlatter Pass then to Cockermouth and back via Embleton across the head of Bassenthwaite lake towards Bassenthaite. Don’t follow signs to Calderdale but instead use the next small road to Bassenthwite village, then follow this small roads towards Robin Hood forest and then across Uldale common and onto Calderdale. Here the exact route is pretty open as the roads are all scenic and quiet. I followed close to the mountains and within the National Park past Mosdale and Mugrisdale. In Mugrisdale keep right and climb high on a small road to skirt around above the main road. This road contains a few gates to open and close but great views and no cars! Finally you drop onto the A66 cycle path for a small section before detour towards Threlkeld. Here follow the right hand turn out of the village (the second right turn that’s not marked a dead end) This small back lane is marked not suitable for vehicles but is paved and fun on bikes. It drops you back in Keswick. At about 80km and 1200m of climbing it is a fun route on scenic quiet roads the whole way! 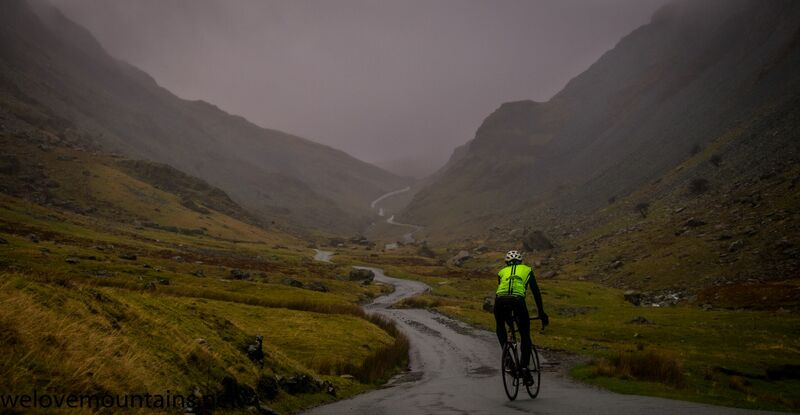 This route takes in two of the toughest passes: Wrynose and Hardknott, but can be varied a lot to add or remove some more. I started from Bassenthwaite so headed down the A591 to Keswick then staying on the A591 towards Grasmere then Ambleside. It is a main road but it isn’t too bad to ride being mostly pretty wide. The variation here is to ride from Keswick along the A66 before turning right down the A592 over Kirkstone Pass and into Ambleside that way. From Ambleside I recommend heading up Langdale past Elterwater until the road finally ends in a T junction. Take the left turn up and over a super steep 1:4 pass that drops you out at the foot of the Wrynose Pass climb! Follow this same road to the savagely steep Hardknott pass then onto Eskdale and Santon Bridge before Gosforth. From Gosforth follow a short section of the A595 until Calder Bridge where you turn right. THis road is narrow and can be very busy during commuting hours so time it carefully! Follow it as it rolls up and down the fells to Ennerdale bridge. here it joins the main road again but you can soon cut off to Lamplugh and Mockerkin. I followed it up to Cockermouth before turning right to Embleton and back to Bassenthwaite. 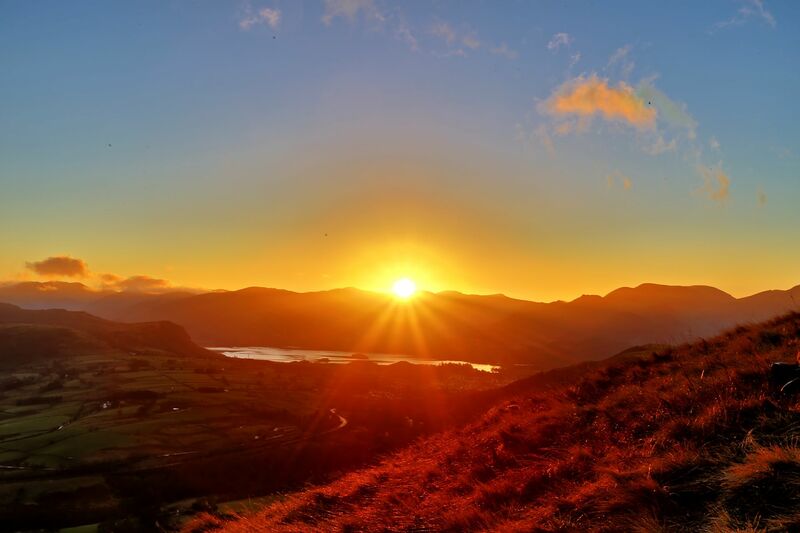 However the better option is to take the turning past Loweswater and climb Whinlatter, Newlands or Honister and end up back in Keswick! 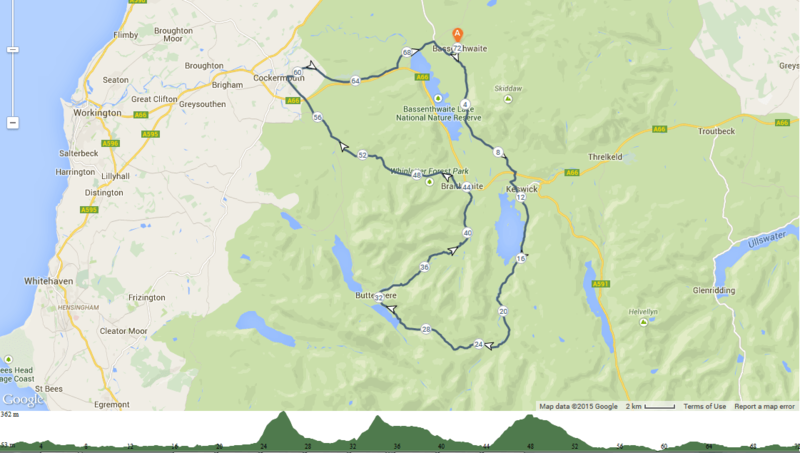 This is a similar route to the infamous Fred Whitton Challenge sportive at 112miles! 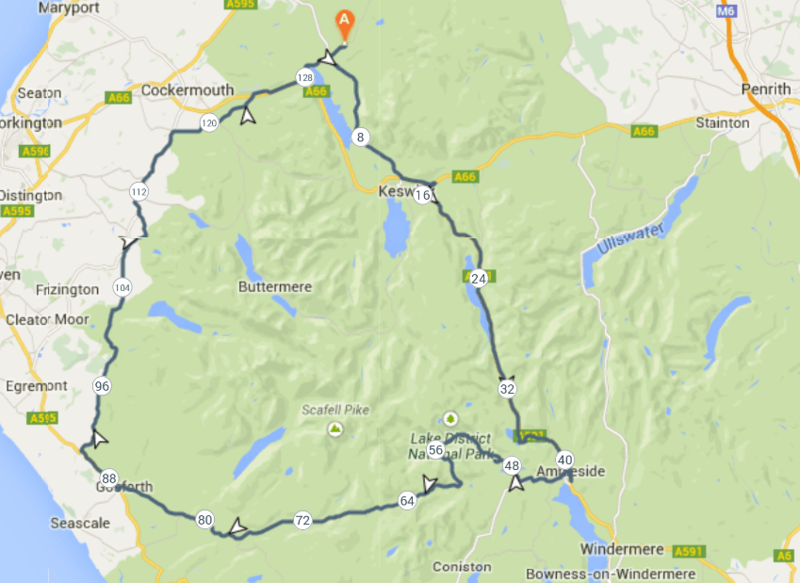 THe route I like is about 5 miles and was calculated as having 2600m of climbing!